I'm going to be honest. When I first got the email about being a part of this blog tour, I was ecstatic. I've only read one Meredith Duran before this (Sweetest Regret, a novella part of a 2015 Christmas Anthology), but that one was so good that I had a bit of a fangirl moment as I responded. I wish that what I got was as good as the anticipation of the thing itself. For me, this book was pretty meh. While I like the characters, I had trouble getting invested in their HEA. A part of this is because neither of them really trust each other. Jane doesn't trust Crispin not to revert back to his pre-amnesia personality or even that love can last. Crispin doesn't trust that Jane loves him for who he is rather than for who she wants him to be (his post-amnesia self). Honestly, I'm not even sure how much they trust each other at the end of the book, which drives me insane. Another big issue I had was the lack of consent on Crispin's part. He had no choice when it came to marrying Jane and the whole thing was presented to him as a Fait Accompli because the wedding supposedly happened during the period of time that he could not remember. I feel that had that part of the narrative been written from his POV, a lot of women would be arguing that he had taken advantage of Jane and that he was a total monster. Yes, Jane has a few moments of understanding that had the Crispin from the beginning of the book been given the opportunity to marry her, he wouldn't have done it, but this doesn't make her actions okay; they make them even worse. I get that from her perspective, Crispin was as good as dead and was the only way she would escape from a bad situation. This doesn't, however, absolve her of her sins. Had she come clean with him earlier (say one of the many times she had the opportunity to do so) I don't think I would have had as much trouble with this. The other thing that bugged me was the way the amnesia was handled and how it was resolved. I have to give Ms. Duran props for not making Crispin's amnesia complete and total retrograde amnesia. I don't know how many books I've seen in my 15+ years of reading romance where the hero or heroine lost all of their memories from a slight bump on the head, but I do know that I have never once read it done well. This was the closest I've found so far, but there were still some problems. Granted we don't know all that much about how the human brain works, but it doesn't make sense to me that Crispin would lose an entire five-year period. What I do know about the way the brain works is that there is no one section where memories are kept, so I have trouble accepting that 5 years worth of memories were all in the damaged part. The resolution of Crispin's amnesia was also problematic. 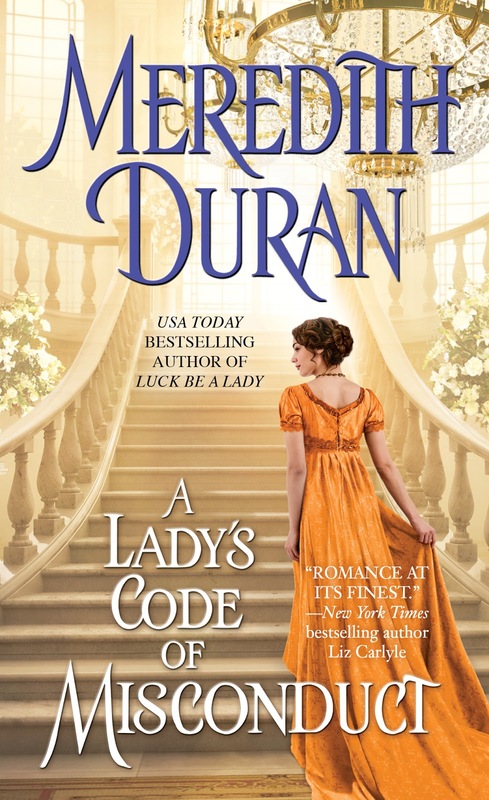 I'm not going to spoil it, but Ms. Duran relied on a pretty standard romance trope in having Crispin's memory come back the way it did--and it is a trope that needs to disappear. Let's leave it at that. 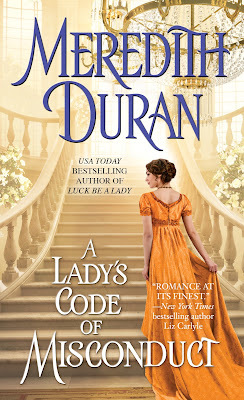 What saved the book from being a total flop for me was Ms. Duran's prose. Ms. Duran has a way of painting a picture with her words, of making the reader experience them with all of their senses, adding to the power of the scene she has set. It is easy to picture this. Everyone knows that type of neighborhood, where the houses are close together and when the windows are open in the summer, you can hear everything that happens inside them. With just one sentence, Ms. Duran was able to tell us that there was something wrong with the place where Crispin found himself. Her dialogue is also wonderful. At one point, Crispin gives a speech to the House of Commons, attempting to stop a bill he wrote prior to his attack from being passed and sent on to the House of Lords. Again, what a picture she has painted for us. Of course, no one "bleeding to [their] death" would actually be thinking about that, but it is a provocative message about the ridiculousness of such a law. The whole portion of the book that was about this bill intrigued me, purely because of my background in Criminal Justice and the debates over the constitutionality of the Three Strikes Rule, particularly how it is implemented in the state of California where a third strike warrants the same penalty as murder no matter what felony the person commits, which in essence teaches criminals to aim high if they're going to end up in jail for life anyway. Maybe if Ms. Duran had written the arguments against the law, we wouldn't have it plaguing people today. Sitting here, writing this review, I find myself going back and forth over what my rating should be simply because I did enjoy the time I spent reading this. There wasn't anything absolutely atrociously wrong with it, but with all of the issues I've outlined above, I can't in good conscience give it anything above average, no matter how much I liked the writing.